Tatsoi is similar to Bok Choi, a mild Asian green. Unlike greens like kale and collard greens, the center stem softens as it cooks and does not need to be removed. This green is packed with a ton of nutrients, including carotenoids, vitamin C, folate, calcium, and potassium. Other names are spinach mustard, spoon mustard, rosette bok choy, Japanese spinach. This simple stir fry cooks up in less than 10 minutes. Toss in some thinly sliced chicken or beef for a meal, or serve it as a side dish along with your favorite Asian dishes. Chop root ends off from tatsoi and wash leaves and stems thoroughly. 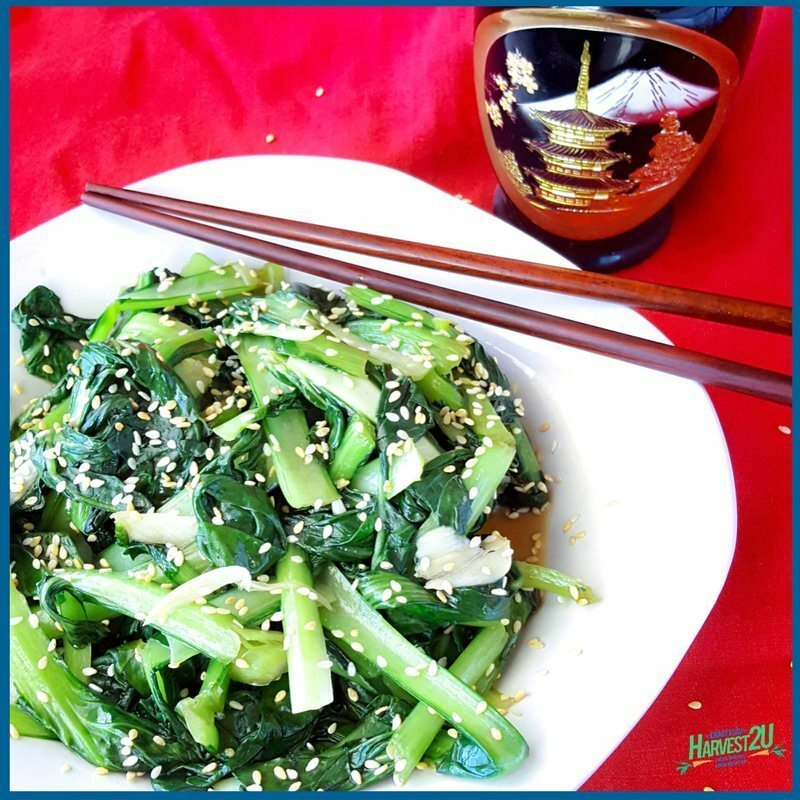 In a large skillet, cook one tablespoon sesame oil and garlic over medium heat until fragrant, about 2-3 minutes. Add the greens and cook for about 5 minutes until leaves are wilted, and stems are beginning to soften. Add oyster sauce (or hoisin) and continue cooking until liquid has cooked off.